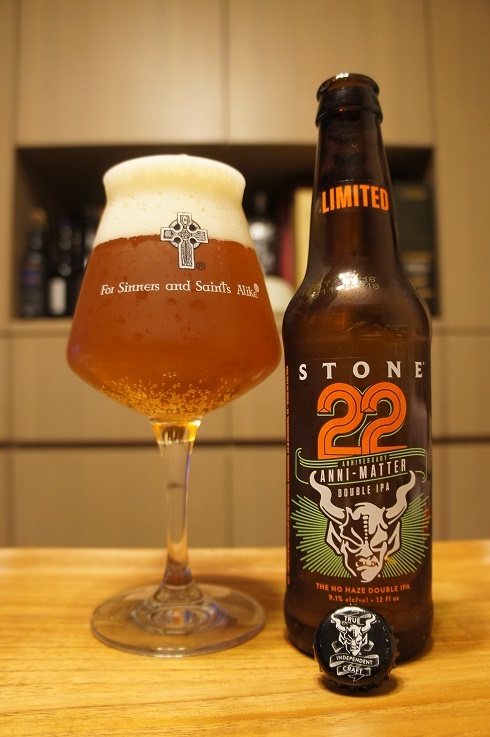 Category Archives: Stone Brewing Co. 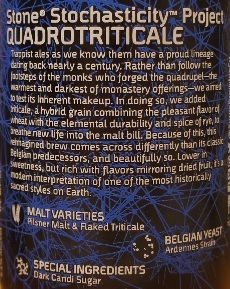 Brewer Description: (from bottle) Trappist ales as we know them have a proud lineage dating back nearly a century. Rather than follow the footsteps of the monks who forged the quadruple – the warmest and darkest of monastery offerings – we aimed to test its inherent makeup. In doing so, we added triticale, a hybrid grain combining the pleasant flavor of wheat with the elemental durability and spice of rye, to breathe new life into the malt bill. Because of this, this reimagined brew comes across differently than its classic Belgian predecessors, and beautifully so. Lower in sweetness, but rich with flavors mirroring dried fruit, it’s a modern interpretation of one of the most historically sacred styles on Earth. Intro: A 22 fl. oz. bomber, bottled on 9th June 2014. Poured into a Chimay goblet glass. Appearance: A clear brown orangey colour (almost rusty) with a thin beige head that settled to a very thin layer over the top with nice curtain like lacing. Aroma: Plum, prune skin, grape juice, caramel, toasted toffee with hints of clove and banana. Taste: Sweet, toasted caramel, plum skin, prunes, grape juice and hints of booze. Overall: Aroma was great, and while the taste wasn’t bad, it was perhaps too sweet for my taste. 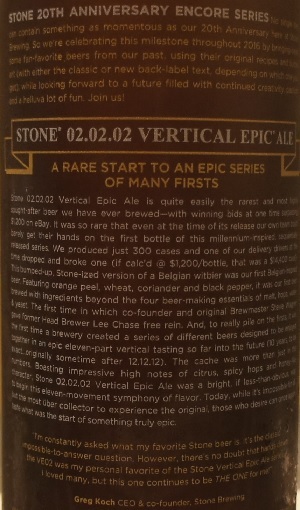 Brewer Description: (from bottle) Stone 02.02.02 Vertical Epic Ale is quite easily the rarest and most highly sought-after beer we have ever brewed – with winning bids at one time surpassing $1,200 on eBay. It was so rare that even at the time of its release our own team could barely get their hands on the first bottle of this millennium-inspired, sequentially released series. We produced just 300 cases and one of our delivery drivers at the time dropped and broke one (if calc’d @ $1,200/bottle, that was a $14,400 case!). 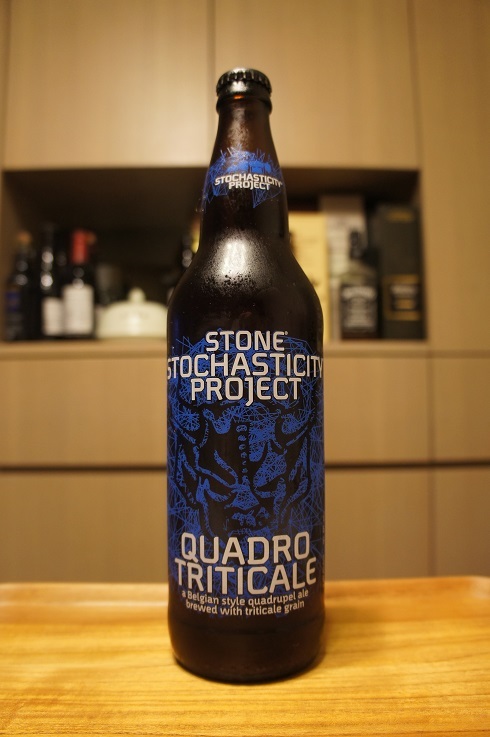 This bumped-up, Stone-ized version of a Belgian witbier was our first Belgian-inspired beer. Featuring orange peel, wheat, coriander and black pepper, it was our first beer brewed with ingredients beyond the four beer-making essentials of malt, hops, water & yeast. The first time in which co-founder and original Brewmaster Steve Wagner gave former Head Brewer Lee Chase free rein. And, to really pile on the firsts, it was the first time a brewery created a series of different beers designed to be enjoyed together in an epic eleven-part vertical tasting so far into the future (10 years, to be exact…originally sometime after 12.12.12). The cache was more than just in the numbers. 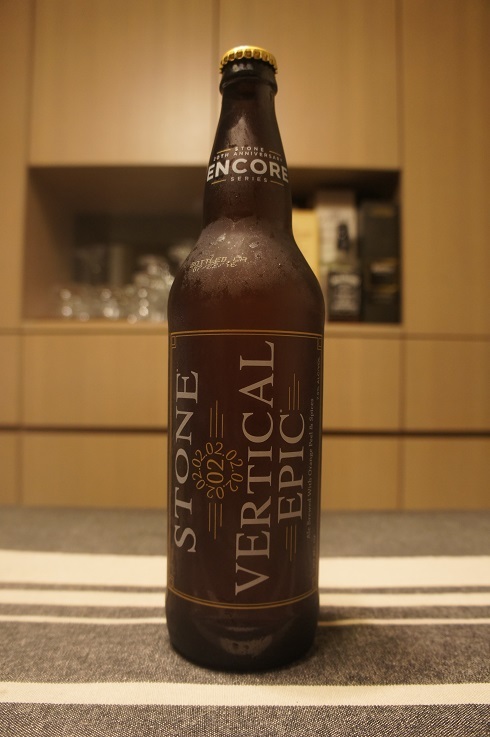 Boasting impressive high notes of citrus, spicy hops and honey-like character, Stone 02.02.02 Vertical Epic Ale was a bright, if less-than-obvious, way to begin this eleven-movement symphony of flavor. Today, while it’s impossible for all but the most uber collector to experience the original, those who desire can once again taste what was the start of something truly epic. Intro: A 22 fl. oz. bomber, bottled on 22nd July 2016. Poured into a Holy Mountain tulip glass. Appearance: A clear golden colour with a big three finger white head that had decent retention and left lots of nice sticky lacing. 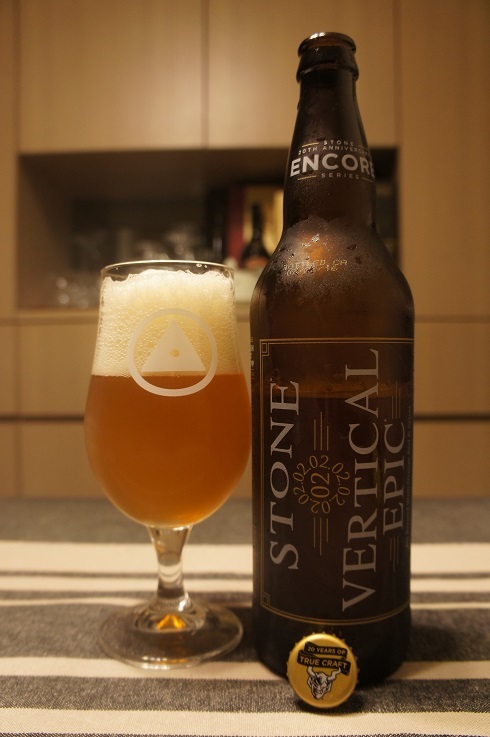 Aroma: Orange peel, clove, banana, coriander, orange creamsicle, Belgian yeast, with some light funk. 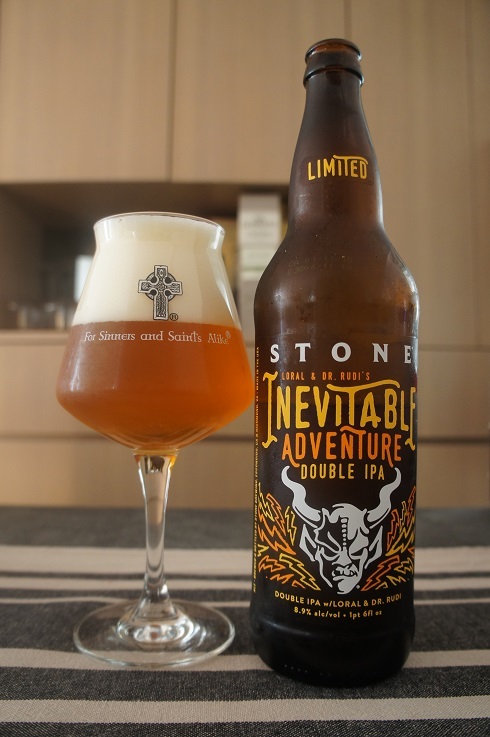 Taste: Orange creamsicle, orange peel, clove, banana, coriander, Belgian yeast and a light but spicy pepper finish. 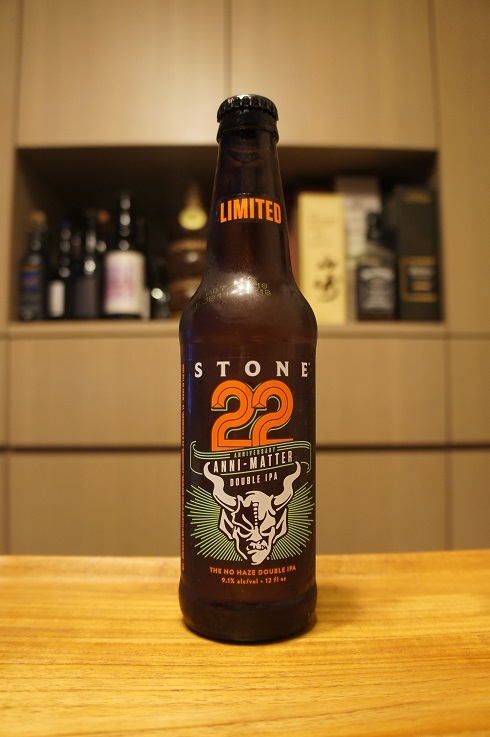 Overall: I enjoyed the first glass and could see how it was ground breaking in 2002, but despite this, a whole bomber by myself might just have been a bit too much. 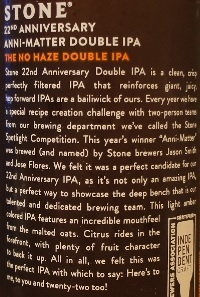 Brewer Description: (from bottle) A pairing like this was bound to happen. Loral hops were released in 2016 and quickly became one of our favorite new varieties. 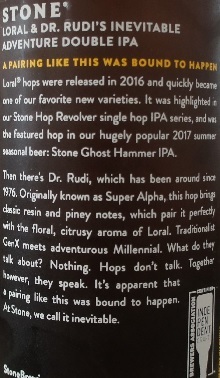 It was highlighted in our Stone Hop Revolver single hop IPA series, and was the featured hop in our hugely popular 2017 summer seasonal beer: Stone Ghost Hammer IPA. Then there’s Dr. Rudi, which has been around since 1976. Originally known as Super Alpha, this hop brings classic resin and piney notes, which pair it perfectly with the floral, citrusy aroma of Loral. Traditionalist GenX meets adventurous Millennial. What do they talk about? Nothing. Hops don’t talk. Together however, they speak. It’s apparent that a pairing like this was bound to happen. 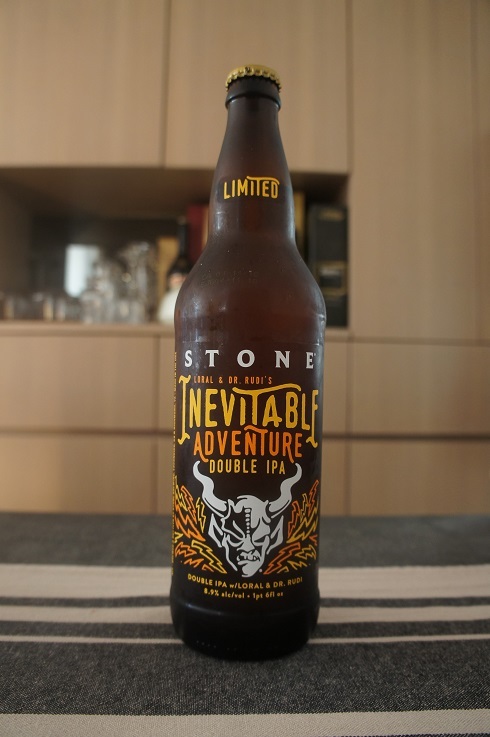 At Stone, we call it inevitable. Intro: A 22 fl. oz. bomber with an enjoy by date of 11th April 2018. Poured into a Lost Abbey teku glass. Appearance: A nice clear copper amber colour with a three finger off white head that had great retention and left lots of nice sticky lacing. Aroma: Mandarin, orange peel, grapefruit rind, pine, floral, herbal and some very light caramel. Taste: Moderate bitterness, grapefruit, citrus rind and peel, pine resin, herbal with hints of sweetness from caramel malt and a touch of booze. Mouthfeel: Medium bodied with moderate carbonation and light alcohol warming. Overall: I’m generally not a huge fan of floral and herbal beers, but this was still quite good as it was balanced by the nice citrusy fruitiness and lasting bitterness. 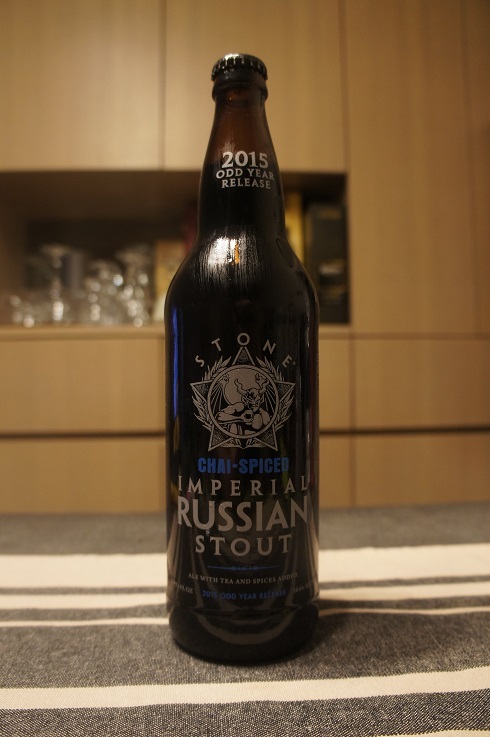 Brewer Description: (from bottle) As it stands, the classic version of Stone Imperial Russian Stout is deep, dark , rich, roasty and perhaps even a bit sinful. 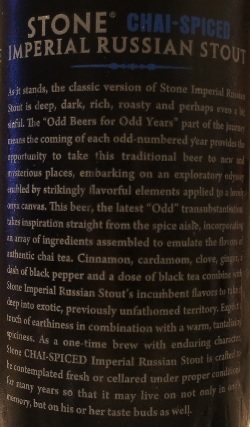 The “Odd Beers for Odd Years” part of the journey means the coming of each odd-numbered year provides the opportunity to take this traditional beer to new and mysterious places, embarking on an exploratory odyssey enabled by strikingly flavorful elements applied to a lovely onyx canvas. 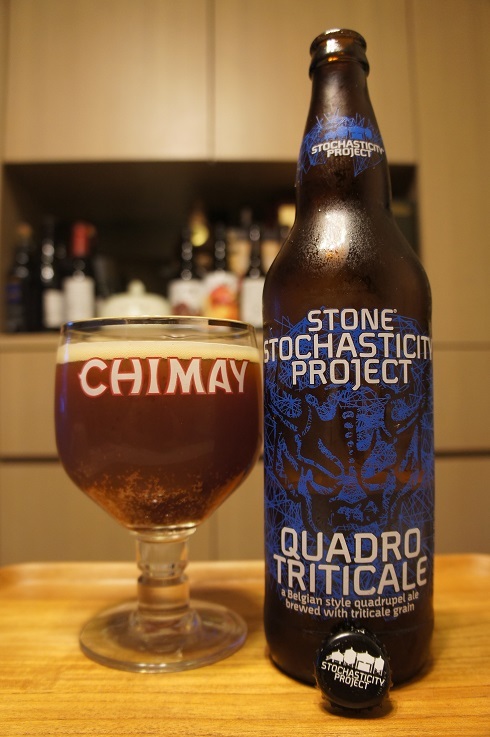 This beer, the latest “Odd” transubstantiation, takes inspiration straight from the spice aisle, incorporating an array of ingredients assembled to emulate the flavors of authentic chai tea. Cinnamon, cardamom, clove, ginger, a dash of black pepper and a dose of black tea combine with Stone Imperial Russian Stout’s incumbent flavors to take it deep into exotic, previously unfathomed territory. Expect a touch of earthiness in combination with a warm, tantalizing spiciness. 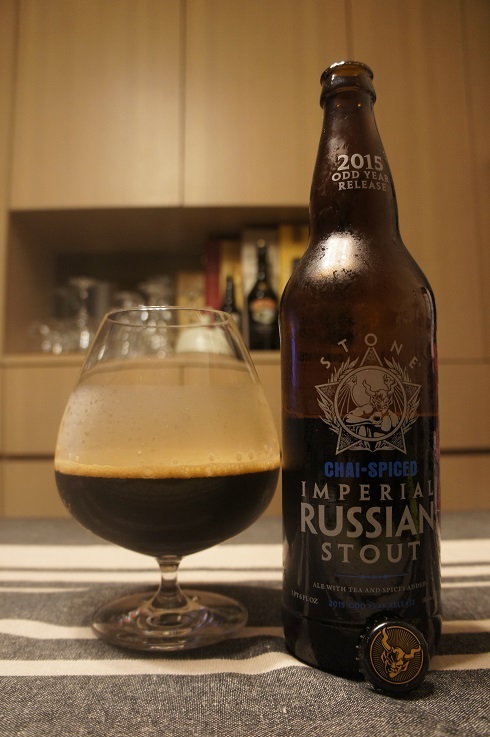 As a one-time brew with enduring character, Stone CHAI-SPICED Imperial Russian Stout is crafted to be contemplated fresh or cellared under proper conditions for many years so that it may live on not only in one’s memory, but on his or her taste buds as well. Intro: A 22 fl. oz. bomber, 2015 odd year release, bottled on 23rd March 2015. Poured into a snifter glass. Appearance: Black in colour with a thin half finger brown head that dissipated quickly to a ring around the glass, while leaving some sparse lacing. Aroma: Strong cinnamon and cardamom with roasted malts, cocoa and chocolate in the background. There were also hints of ginger and clove. Taste: Follows the aroma quite closely with lots of spices, cinnamon and cardamom, spicy ginger and clove with hints of roastiness, cocoa and chocolate in the background. Mouthfeel: Medium to full bodied with low carbonation. Overall: Almost three years on, and the “Chai” is still dominating the aroma and taste. Personally I would say it was still a bit too dominating while the nice flavours of the base Imperial Russian Stout were overpowered.